Panic attacks in supermarkets are very common, especially in today’s society of stress and anxiety. It is not important to ascertain what has caused the original panic attack. What is important is our reaction to it. Some people will just shrug it off and it will never reoccur. Others will, unfortunately, when they re-enter the supermarket on another day, say to themselves “I had a panic attack last time I was here. I wonder if it will happen again?” When this happens, there is a strong chance that the attack will reoccur. If this is repeated, then panic attacks in supermarkets become a learned fear and the result may be an avoidance of the area. It is important to understand that supermarkets can’t cause panic attacks; what has happened is that you have created a connection between the attack and the supermarket. 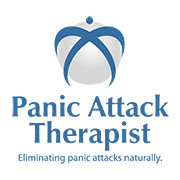 If you suffer from this or any other type of panic attack, click here. A clinical psychologist describes the symptoms of panic disorder, the treatments available, and what to do if someone you know has panic attacks in supermarkets.